The First MeBeSafe Newsletter has now been released! 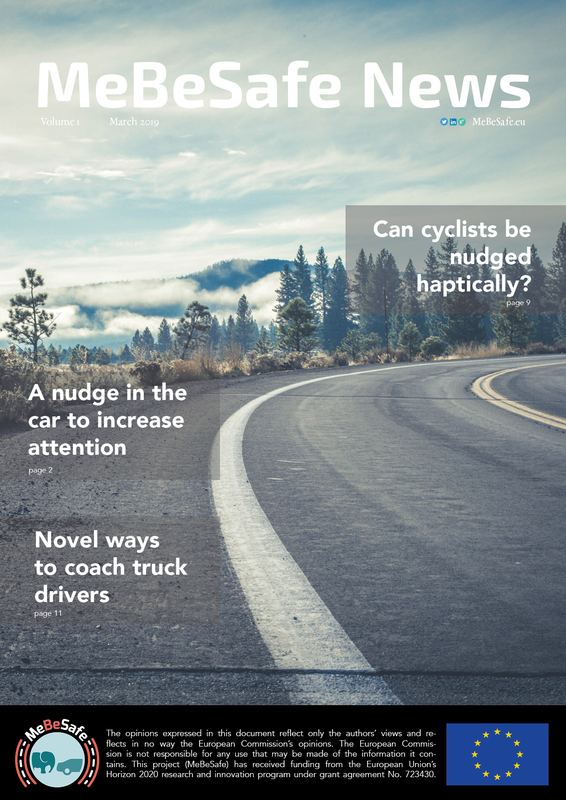 You can read about attempts to nudge car drivers to keep up their attention with an in-vehicle nudge, lights along a road exit to make cars slow down, haptic nudging measures to affect cyclists and much more. Don’t miss the opportunity to read the very latest from MeBeSafe! Click here to open the newsletter as a pdf! Sign up for the MeBeSafe Newsletter! By submitting your details with this form, you agree that your name and email will be stored in compliance with GDPR and will only be used for sending newsletters regarding MeBeSafe. You may unsubscribe at any time.